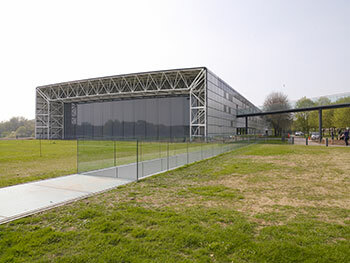 The Sainsbury Centre for Visual Arts embarked on a strategic building project completed in 2014 which saw, in a two phase development, its facilities transformed. Stuart Johnson was at the centre of this transformation. 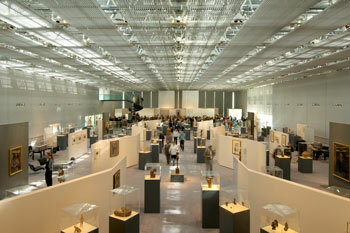 A number amenities were created or re-developed, including: the Modern Life Café; the Modernisms Gallery; the East End Galleries; the temporary exhibition halls; the Crescent Wing Fenestration; the Museum Shop; and the Research Mezzanine. In 2014, at the end of the project, a revivified Centre celebrated its new facilities with a large-scale exhibition Masterpieces: Art and East Anglia. There is no doubt in my mind, and certainly not in the minds of my colleagues, that the project could not have been completed as it was – to time and to budget – without the leadership and ongoing advice of Stuart Johnson. 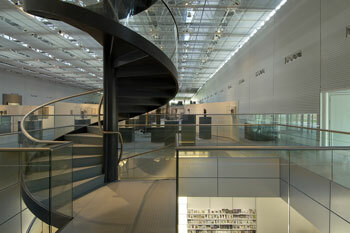 The Sainsbury Centre is a tribute to his extraordinary abilities. Stuart is without doubt the most accomplished project manager with whom I have ever worked. It's not simply that he has outstanding professional capabilities and experience: it's that he is also a consummate diplomat, an outstandingly good judge of people, situations and sensibilities and - I particularly admire this quality! - able somehow to resolve tricky situations without ever appearing confrontational or anything other than scrupulously even-handed and objective. During the four years I worked with him on the Sainsbury Centre's extension and refurbishment, I watched him handle the sometimes conflicting expectations of funders, clients, staff and contractors with confidence, discretion, charm and quiet humour. Needless to say, the project came in on time and within budget but, even more importantly for me as Director, this was achieved under circumstances of absolute trust, collective ownership and, finally, general delight.